We followed the Janazah to the graveyard, he was buried and remembered for all the good traits he possessed and all the good he did. He spent 74 years in this life. This was my uncle’s closest friend, a man I knew well since I was a little kid. He was extremely intelligent and had great plans throughout his life, but none of them came to be a reality. Despite my sadness during the funeral, my mind could only think of one thing: why did this very intelligent, well meaning person leave this world without having had a great impact. What made him leave a slim legacy compared to the potential he had possessed? I even thought of my own end, the day I leave this world…what a scary thought to see yourself having to leave this world without leaving substantial positive influence! The thought daunted my mind for a few days and left me with an unwavering thirst to find out how I can avoid such an end. I have been conducting my own investigation, looking into the lives of people who had potential but failed to utilize it. I had plenty of examples around; almost everywhere I looked. The more I investigated, one pattern kept emerging in almost every case. Those individuals, who were once full of potential and vision, have fallen into a deadly pitfall that stole their dreams and consumed all their energies while giving them the impression they were achieving something, only to face the brutal fact that their lives amounted to nothing towards the end of their lives. In simple terms, they tried to be too many things to too many people. In other words, they didn’t know how to manage and regulate their overambitious souls. Next I decided to investigate the people who could “make it”, those who achieved something substantial in their lives and left a legacy behind. With a few exceptions, they seemed to focus their resources in one specific channel, one niche and avoiding spreading themselves thin trying to achieve many things. The analogy I would give is that of a hose. Imagine the water running through a hose as you try to water your plants. Sometimes we need the water to reach further so we put out thumb on the hose opening. This reduces the space that allows the water out, but it adds so much force at the same time. Likewise, focusing your time, energy, and effort in one specific endeavor causes you to create the force and momentum to achieve a breakthrough. Oftentimes we enjoy surfing the web, watching random videos on youtube, or spend hours flicking through facebook and other social media. Wasted time is not the only loss here, our attention and focus is sacrificed in the process, which is hard to retain. Doing many things has its allure and magic, but is the sure way to a wasted life. You might be intelligent and resourceful but if you try to do so many things, you will end up doing nothing well. Resist the temptation and create a laser-like focus. Among the endeavors you are interested in, choose the one that reflects your true identity most. Having multiple goals to achieve is an excellent way to sabotage your life. Having multiple goals means you have excuses not to do the work you need to do under the pretext that you are working on a different goal. I will write more on the subject with more practical steps to employ, but this is an introduction to this very important topic. May Allah grant us a life of achievement and righteous contribution, Peace! 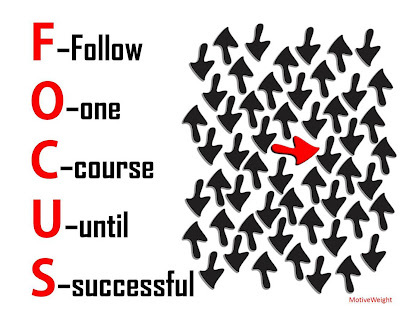 6 Responses on The Focused Life"
This is such beautiful advice! May Allah honour you and grant you blessings upon blessings! Much needed advice and you’ve honestly hit the nail on the head! Please do write more on this subject inshaaAllah. May Allah bless your advices and writings. I read your post on cane sugar and have decided to give up cane sugar. Alhamdulilah, it has been two weeks now and already I feel better. May Allah bless you and your family. I feel like many people may have some issues focusing , especially ambitious ones. I know that a close friend and I are constantly trying to refocus and it doesn’t help we constantly end up at square one. Some questions which might help other upcoming articles on the same topic and which might help us also. How do we differentiate between skill development, life goals and hobbies. What about seeking knowledge, learning Arabic etc do we leave this aside to focus only on one thing? How do hobbies fit in the equation. How do we remain focused as doubts begin to plague and confidence dwindles? Is there a time to give in? What if we have more than one passion, should we balance it or choose one? and if so which one? This is an important topic for the youth especially since our goal is one, a productive life wherein Allah is pleased with us, having focus will help us achieve this. May Allah make this undergoing easy for you and a benefit for many. JazakhAllah khairan , needed this advice. looking forward to more writings on this topic.